Have you ever wished you had the freedom to live life on your own terms? Work when you want. Play when you want. Spend more time with the people you love. That's where I was back in 2007. Sitting in my office, at my desk, staring at a full calendar and a pile of paperwork, and wishing I could ... Just. Go. Fishing! After 20+ years in the legal profession, I was burnt out. For my physical health (and my sanity! ), I knew it was time for a change. No, I didn't win the lottery or inherit a family fortune. I'm still earning a living. But now, my work is a labor of love! 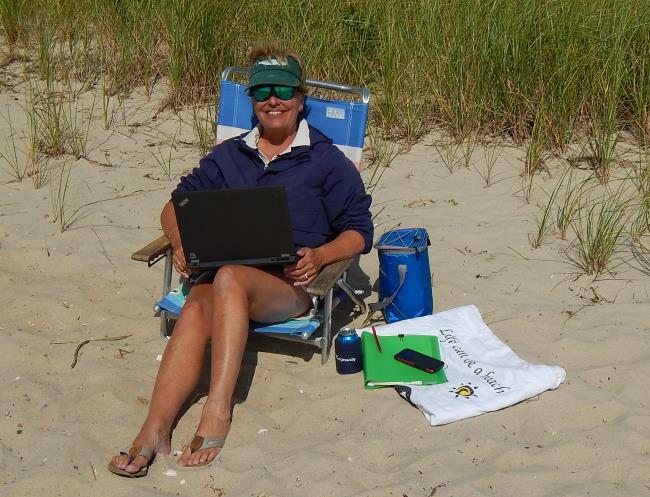 I'm the owner, writer, editor, researcher, photographer, and all-around "Jack of All Trades" for my thriving online travel business called Cape Days: Your Go To Cape Cod Guide. I'd seen it all before. "Sign up for ... [this, that, or the other thing]. It's the road to instant riches." Blah, blah, blah. Yep, I'll admit it. In my quest to escape the rat race, I was tempted by more than one get-rich-quick scheme. Don't ask me how many of my hard-earned dollars I flushed down the drain on MLM, network marketing, and work-from-home nonsense. Ugh! What's the old saying? "Once bitten, twice shy." Well, let's just say that by the time I discovered SBI, I was painfully shy! Have I mentioned that I'm a fishing fanatic? My hubby is, too. 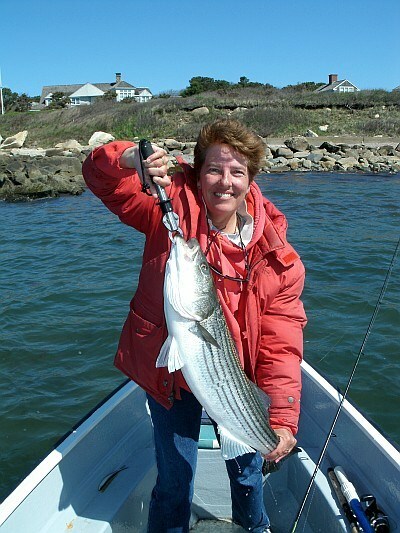 We often plan our vacations around the question: "Where should we go fishing next?" Anyway, one day while I was researching tarpon fishing charters, I found a wonderful website about Vieques, an island off the coast of Puerto Rico. From my very first glance, it was obvious to me that the Vieques website wasn't a typical Chamber of Commerce tourism site. There was a real person behind it - a lady named Luisa. Luisa wrote with such a personal passion for the island, and her photos were absolutely beautiful. In about 30 seconds, she had me wishing we were there! At the bottom of one of Luisa's pages, I noticed a link that said, "See How I Built This Site with SBI". Curious one that I am, I clicked the link, and I ended up here. You're probably thinking I'm about to say, "I signed on with SBI, and the rest is history." Whoa - not so fast! Remember, I'd been fooled before. No matter how great the Site Build It system appeared to be (and it did look pretty darn cool! ), I was still skeptical. So ... I walked away. Still, every now and then I would think about Vieques, about Luisa, and about that whole online business thing. Days passed. Months passed. A year passed. Then, after an insanely long, frustrating, annoying day at the office, I was driving home from work thinking, "I really can't take this stress much longer". Always niggling in the back of my mind was: if a lady on a small Caribbean island can build a successful online business, I should be able to do it, too. After dinner that evening, I hopped online and went to SiteSell's website. Was I still skeptical? Of course I was. I didn't want to walk face first into another money-sucking scam, no sirree! But something about the SiteSell company kept tugging at me. So I spent a couple hours checking out 8 or 10 websites on their list of top performing websites. Those websites were created by people just like me. I could tell by the way they were written. I wasn't reading "canned" copy. It was the real deal. And the sites must be profitable, right? Otherwise, why would these people do it?! With that realization - and SiteSell's money-back guarantee in mind - I whipped out my credit card. And ... the rest is history??? Pretty amazing, especially considering that I was a total tech dummy back then. Surfing the web, emailing, shopping online, and some very basic word processing. That was the sum total of my computer skills when I clicked the "Buy Now" button. Thankfully, SBI provided me with all the tools and support their promotional materials had promised, and much more. What a refreshing surprise that was, after having been fleeced by other companies that promised the world but delivered diddly-squat!! The Action Guide - A comprehensive training manual that takes you by the hand (virtually, of course!) and walks you step-by-step through the whole process of building a successful online business. In text and video formats, the Action Guide is perfect for everyone's learning style. BrainstormIt - The Holy Grail of tools to help you choose the perfect topic for your website. It also shows you the all-important "keywords" that'll bring traffic to your site. The Forums - Hands down, the most friendly, knowledgeable group of folks on the web. When you're stuck, don't understand something, need some encouragement, or want to share your successes, the forums are THE place to go. "Help and be helped" is not a cliché here. It's how we roll! SiteSell Pros - Talk about talent out the wazoo! SiteSell Professionals are tops in the online business world. Need/want assistance with any part of your business-building process? Hire a Pro! They're wonderful to work with!! SiteSell Support - They're the behind-the-scenes people who handle all our product-related and technical issues. SiteSell's platform and tools are so reliable, I've rarely had to contact Support. The few times I have turned to them, they've always been Johnny-on-the-spot to fix my glitch! It's been 9 years since I joined the SiteSell/SBI family. I've worked hard to build my online business into the success it has become. And you know what? Life is good as an online business owner! I've finally found (no, I've created) the freedom I was so desperately seeking way back when. Every day I look forward to working. Or playing. Or maybe doing some "research" for my site on a whale watching cruise. How I spend my day is my choice. The future is bright for my business - and for SBI. There are lots of new business-building tools coming from SiteSell all the time ... and I'll never run out of fun "research" to do for my site visitors. That, my friends, is my ongoing SBI journey! Over the years, SiteSell/SBI founder, Dr. Ken Evoy, and all the SBIers I've gotten to know through the forums, have come to feel like friends to me. We've been through thick and thin together, encouraging and helping each other as we build, maintain and grow our businesses. So, when I recently learned that another company was spreading falsehoods about SBI, it's like they were attacking my business partners and friends. I'm generally a "turn the other cheek" kinda gal. But this time, I felt that I had to put my perspective out there for anyone who's thinking about starting their own online business through SBI. Without SBI, this happy solopreneur would still be stuck behind her desk, staring at a full appointment calendar and a pile of paperwork, wishing she could ... Just. Go. Fishing!